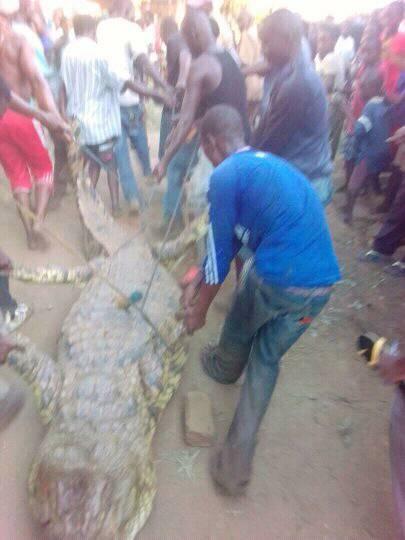 Malawi police officers from Kapolo police post in Karonga district have shot to death a giant crocodile. 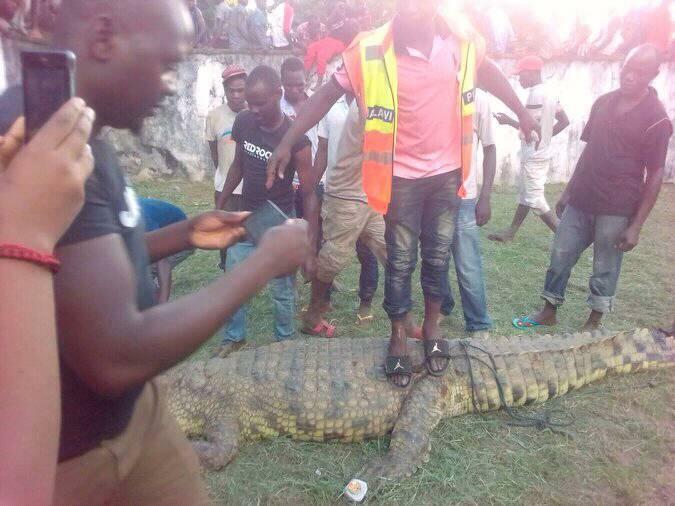 It is reported that the crocodile has been causing distress among people living in the area. 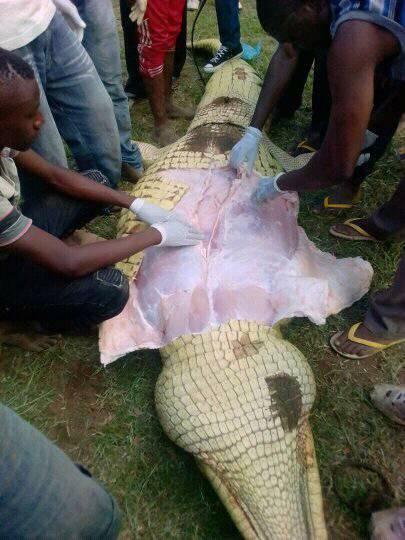 It is also believed to have killed and eaten a man just two weeks ago. With the help of some people, Malawi police officers used ropes to drag the animal to an open ground where they cut its stomach open and removed its bile. 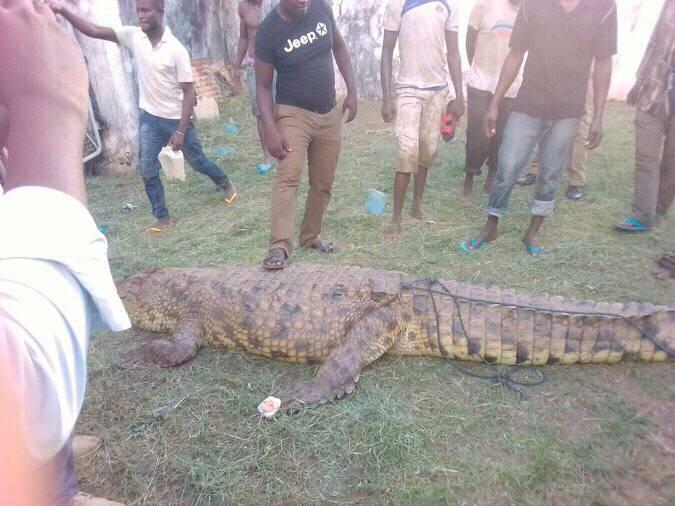 It is said that a crocodile’s bile is poisonous such that it can kill dozens of people if not being taken care of. 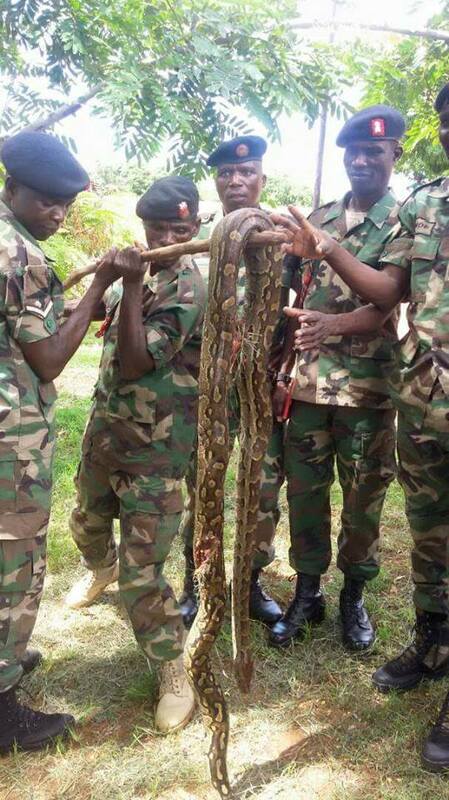 In February, Malawi defence force soldiers also killed a python snake after it visited Mvera support battalion in Dowa. It was reported that one woman had reported to the soldiers around the area that the deadliest snake was killing her chickens. In help of the woman, the soldiers shot to death the python which at one time had visited near the battalion. It was said to have been killed with 10 live bullets. Those are police and army in Malawi. Spending bullets on non enemy. Imagive Malawi army under instructions of G Spoon Phir and the whole police under the instruction of IG Kachama to kill these animals which could have been killed by mare villagers.